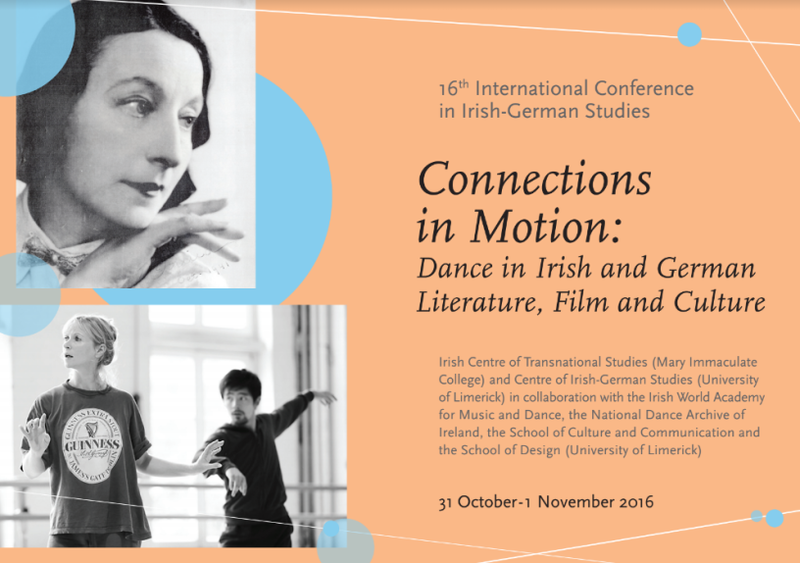 This year marks the 16th International Conference in Irish-German Studies titled: “Connections in Motion: Dance in Irish and German Literature, Film and Culture”. This interdisciplinary and international conference will explore Irish-German connections through dance and other forms of movement in different places, institutions and media from the 1920s to today. Presentations will focus on encounters between Irish Dance and Modern Dance, dancers, choreographers, writers, directors and architects in cities like Dublin, Berlin or Saarbrücken, and discuss modernism as a movement and its impact on Irish and German culture. Angie Smalis has been invited to participate in this conference by taking part in a round table discussion on various topics such encounters between Irish Dance and Modern Dance, dancers, choreographers, writers, directors and architects in cities like Dublin, Berlin or Saarbrücken, and discuss modernism as a movement and its impact on Irish and German culture.